Bird Flu. It's really not just for the birds. It often just affects birds and farms, but sometimes it can affect a lot more. Bird Flu has been also found around the world, from China to Egypt to Burkina Faso to Iowa. Some types are more worrisome. These types, we worry, might mix and match or mutate and become an even bigger problem - not just to birds, but to us people. There are different types of Flu. Some are found almost always in people. Others mostly in birds or dogs or pigs. Some can cross over between species - and sometimes this can result in mixing and matching, making for a nastier strain. Other times the flu can remain within a species and be pretty infectious and/or dangerous within a species. There have been some more worrisome types of Bird Flu. These types have being found circulating in migratory birds and on farms around the world from China to Egypt to Burkina Faso. The Canadian Geese and the egg layers of poultry farms in the US had another type. These types of Bird flu that worry us the most have names like H5N1, H5N2, H7N9, H5N6. They run the risk of causing human disease. 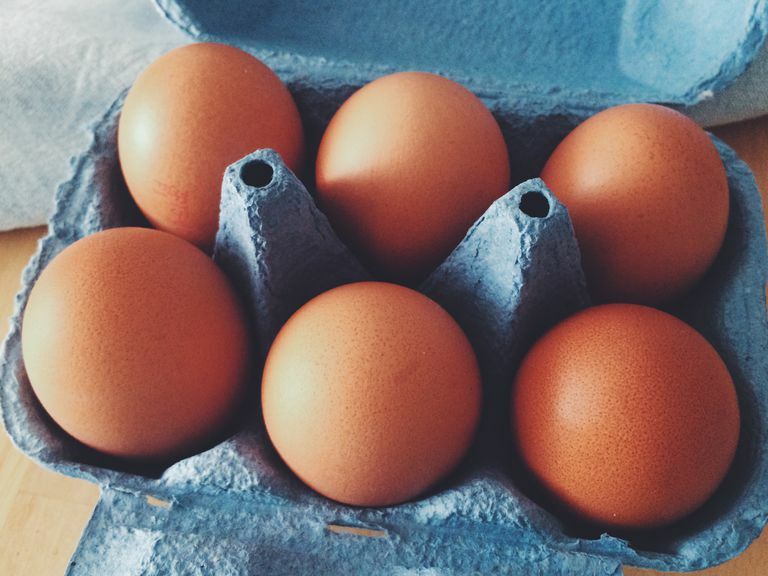 This isn't just a question of egg prices. The mixing and matching Bird Flu strains, trading around H's and N's, might create a new, scarier strain. Some influenza strains infect many (H1N1) and some kill many it infects (H5N1). We worry that one day one strain might do both. Most bird flu strains remain among birds.There have been a few strains, mostly in China, that have leaped from bird to human and then on to human-to-human transmission. Fortunately, not many cases have spread like this - and these strains don't seem to spread very quickly. The fear is that one time, after enough chances, the transmission of bird flu from human-human could become more efficient and lead to a large outbreak. There are other strains - H5N1 and H7N9 - which are closer to affecting us - and can be quite deadly. As for the Bird Flu spreading now, you should always follow the same food safety precautions you always do - for salmonella and other bacterial hazards. It's not more concerning than that right now. There have been cases of H5N1 and H7N9 spreading among people. In January 2015, the first cases of avian flu (H7N9) were identified in North America in two returning travelers from China in British Columbia, Canada.These were people infected by a type of Bird Flu that spread among people. What’s so worrisome about this flu? been about 1 in 3. In part, this is because it’s a very different virus than others. Bird Flu also has economic effects. When bird flu hits poultry farms, Egg prices explode. Millions of birds have may be culled, like they were in the Midwest of the US. Huge commercial poultry farms close. No. It’s not very infectious between people. It didn’t spread when they visited health facilities or when they flew in on planes. In fact, they flew before they had symptoms so there was not concern about it spreading on the plane to Canada. Yes. There have been over 500 cases of H7N9 around the world – mostly from mainland China since March 2013, but also in Malaysia as well as Hong Kong and Taiwan. Is it likely to spread from person to person? It’s possible, but it hasn’t been common. There may a little spread from person-to-person, but it’s usually from poultry to people. What makes this different from the flu every year? There are many types of influenza. Some are not as worrisome as others. In humans, there are 3 types of influenza. Influenza Type C causes only a mild respiratory illness. It is not included in vaccines. Influenza type B can cause epidemics, but never large pandemics. It is included in vaccines. Both type C and B infect humans, but not as many animals. They have no large animal reservoirs. Influenza A is more worrisome. The strains are labeled with numbered H's and N's - like H5N1, H7N9. These H's and N's label the different proteins (named H for hemagglutinin and N for neuraminidase) on the surface of influenza. Influenza A can mix and match H's and N's between different strains. All avian influenzas are Influenza Type A. The dog flu is Type A. Influenza A is found in humans, pigs, and in birds – especially water birds, like ducks, swans, gulls, and geese, but also poultry, like chickens. It is also found in pigs. How does Bird Flu Mix and Match? These strains mix and match a number of key proteins on the virus particle’s surface. Specifically, these include 2 proteins: hemagglutinin (H) and neuraminidase (N). There are 18 hemagglutinin subtypes (listed as H1-18) and 11 neuraminidase subtypes (N1-N11). Influenza A viruses are named by these letters and numbers, like H7N9 and H1N1. The worry is that more unusual proteins avian influenza strains can mix and match with strains in humans, adding changes our immune systems cannot recognize and protect us against. Influenza A can be referred to as a human strain, but it also can be referred to as a strain from birds (or pigs). The animal of origin – duck, chicken, human, swine – is listed to identify a strain as well. Are there other types of Avian Flu? Yes, in particular, there is the strain H5N1. There have been more than 700 human cases in 15 countries since 2003. Mortality has been 60%. The virus has not been spreading among humans. Cases have come from contact with birds. Most cases have occurred in the past decade in Indonesia, Vietnam, Cambodia, and Egypt. The virus was first identified in humans in Hong Kong in 1997 after high rates of bird deaths were seen in 1996 in southern China. The virus later re-emerged in 2003. There were no human infections associated with poultry infected in North America. However, one infection was identified in Canada in a returning traveler from Beijing, China who died in January 2015. This is the first and only case so far of H5N1 in North America. There also other avian strains that have infected humans including H7N3, H7N7, H9N2, and H10N8, though the last strain has only infected one person. There was a death in 2015 in China of a woman in her 30's from H5N6, which except for one other case had only affected birds before. been found worldwide, especially in migratory birds or in poultry farming. What is this disease called Cutaneous Leish? Oh, Great Another Superbug to Worry About, CRE. What Is It?